In recent years philosophy has become increasingly popular as an alternative source of inspiration in helping people to lead a good life. Ancient Greek philosophy in particular was conceived as a practical endeavour intended to have an impact on how people lived. 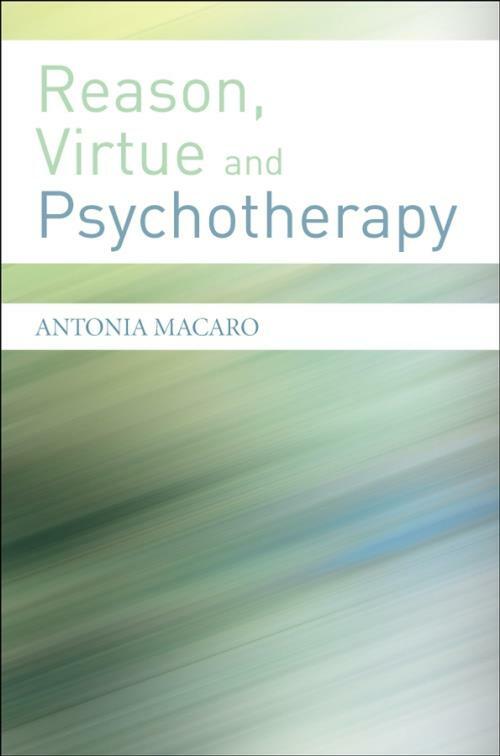 This book, loosely organised around the structure of Aristotle s Nicomachean Ethics, draws on Aristotle s ideas about virtue and on contemporary virtue ethics to create a framework that can be used by psychotherapists and counsellors in helping their clients or themselves to live flourishing lives. It provides a clear discussion of Aristotle s key ideas about virtue and the good life and places these within the context of other philosophical and psychological theories, both ancient and contemporary. It goes on to address the practical relevance of these ideas to the everyday work of the therapist, providing suggestions for practice and a number of useful exercises. These will be particularly helpful for practitioners working with issues such as finding value and meaning in life, making difficult decisions, developing helpful character traits, managing disruptive emotions and increasing self–control. Reason, Virtue and Psychotherapy bridges the gap between academic philosophy and real life. It will be of interest to practising counsellors and psychotherapists as well as students and trainees in these areas. Since it is written in a clear, jargon–free style, it is also appropriate for all those who are curious about how ancient understandings can improve their life. 1. How Should I Live? 2. Practical Wisdom: The Art of Making Good Decisions. 3. The Virtues of Character: Feeling the Fear and Doing it Anyway? 5. Less Than Virtue: Developing Self–control. 6. Conclusion: In Defence of Reason.